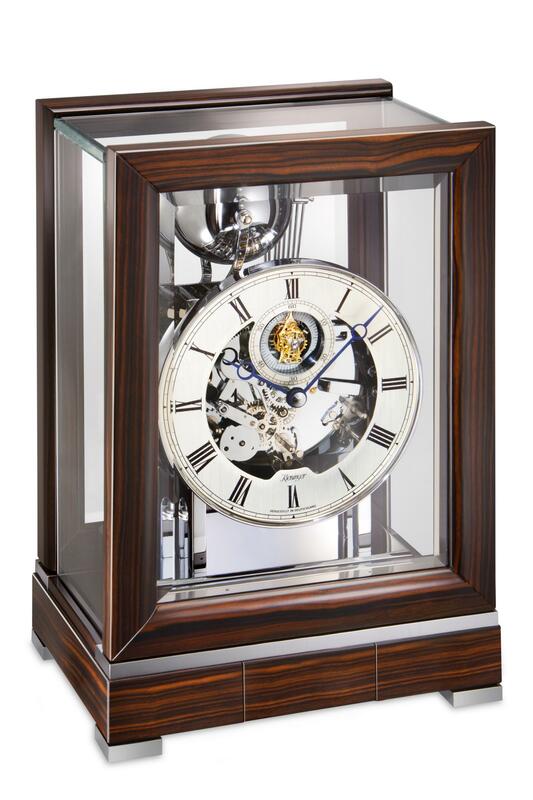 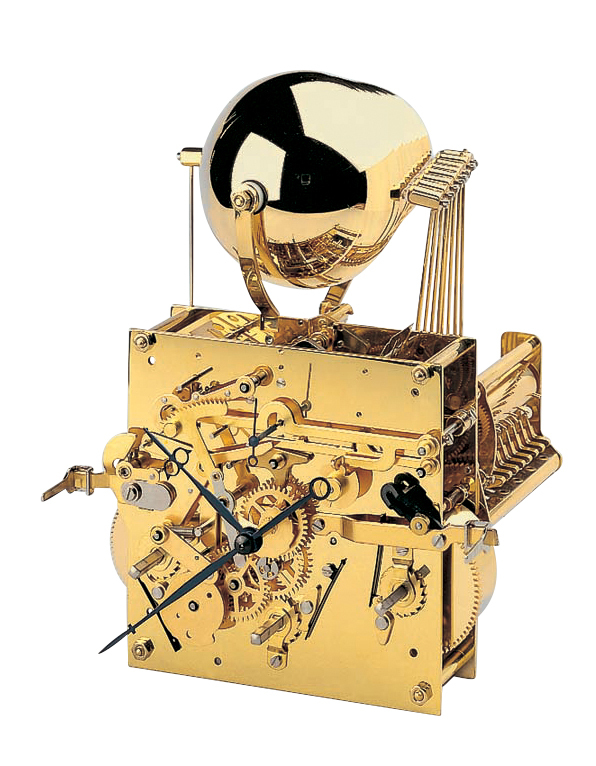 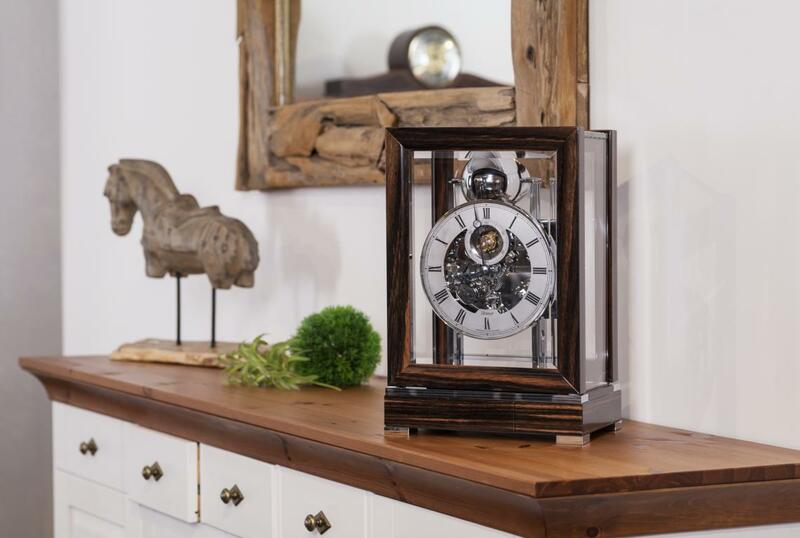 Contemporary tourbillon mantel clock: Transparent case in elegant ebony with free swinging doors and key drawer in the base. 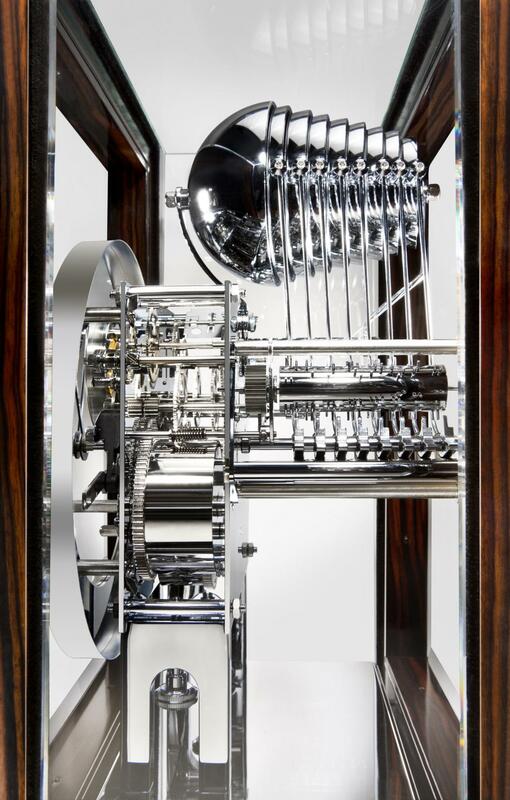 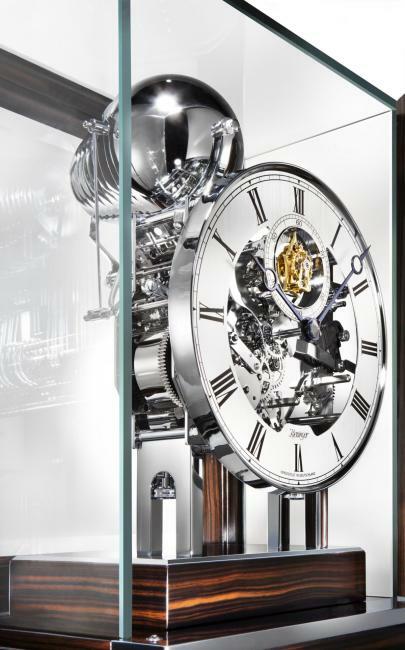 The frameless glass construction allows an undisturbed view of the clock movement with nine diamond cut bells, chrome plated movement and accessories. 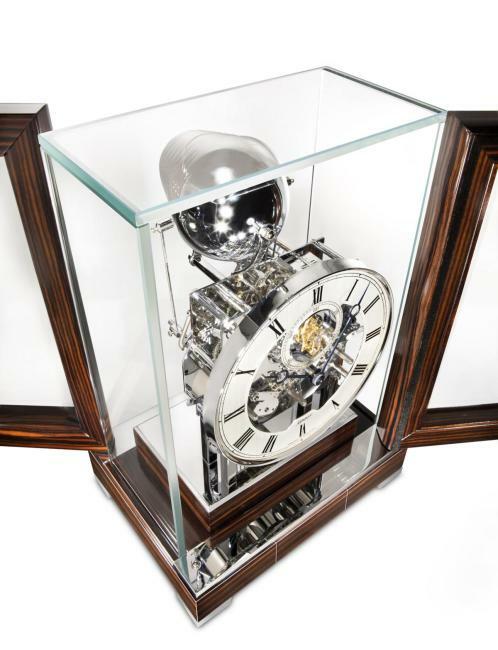 Limited edition of 250 pieces.